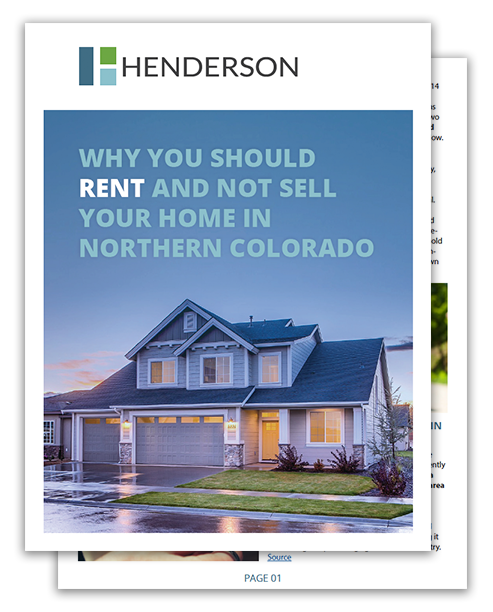 Started in 1994, Henderson is one of the most experienced locally owned and operated property management companies serving the Colorado Front Range. Managing over 1,300 units, our experienced staff provides full service property management – including tenant screening, marketing and filling vacancies, managing tenant concerns, collecting rent checks, carpet cleaning, handling repairs, and general property maintenance – at below market rates. Our 1% vacancy rate maintains your cash flow stream. Check Out Our Newest FREE Download! Our expert staff believes strongly that it is in fact not a good time to sell, and that it would be smarter to move out of your current home and convert it into a rental! Submit the form below to get the download. By submitting this form, you are opting in to receive email communications from Henderson Property (you can unsubscribe any time).